Mr. Walter. Congregational Church; later site of library. Description Same as 212b. Small roofed structure is entry to basement. Future site of Lake Oswego Public Library, 706 4th Street, Lake Oswego, Oregon 97034. 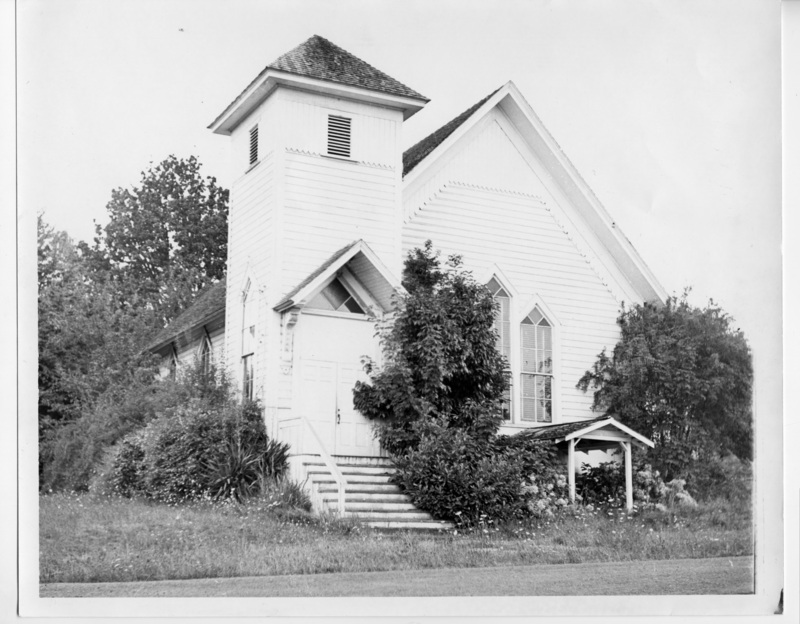 [Caption used for 2007 display]: "As the city grew, there was no longer adequate space for the Library in City Hall so there was great relief when, in Oct. 1959, an anonymous donor offered the old Congregational Church property at 4th & D to be held in trust until the library was in a position to build a new facility there. (The donor was later revealed to be John Gray, former owner of Omark Industries.)" Transcription Mr. Walter. Congregational Church; later site of library.